Is the vaccine safe? 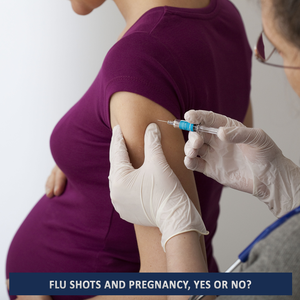 Yes, according to both CDC and ACOG who track the safety of vaccines during pregnancy through an agency called The National Vaccine Advisory Committee and the Advisory Committee on Immunizations which are both affiliated with US Dept of Human Health Services and CDC. What about that controversial medical study that linked the vaccine with increased miscarriages? There were no miscarriages occurring after 28 days of pregnancy, the study implicating the vaccine with miscarriages before 28 days of pregnancy is still under investigation and both CDC and ACOG remain steadfast that the vaccine is safe during any trimester. What are my personal recommendations? Trust your gut. Trust your instincts. Everyone’s body is different but if you have a compromised immune system because of HIV, removal of your spleen, previous history of pneumonia or hospitalized for a respiratory problem, you should seriously consider getting the vaccine.